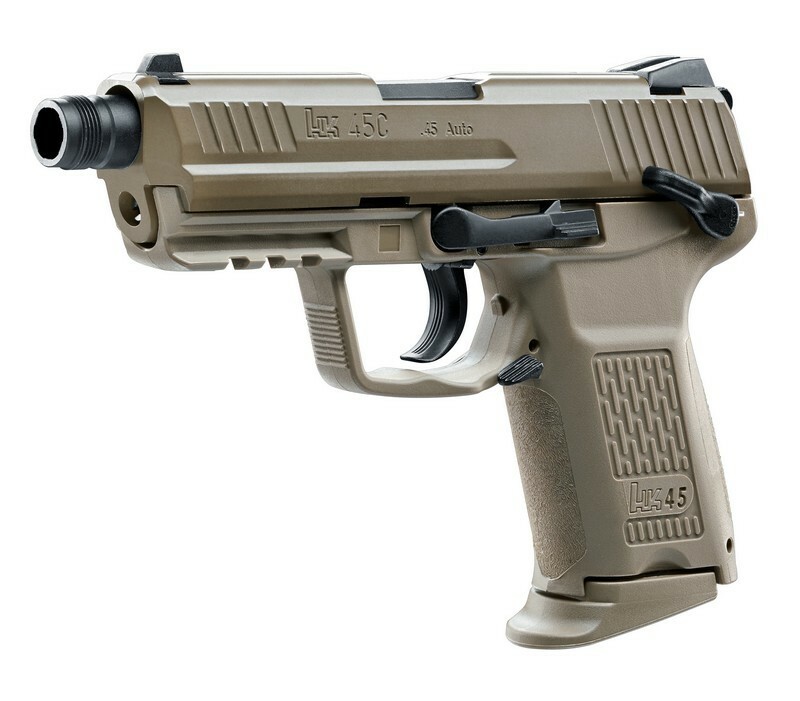 The Compact Tactical version of the HK45 features a shorter slide, smaller frame and a 16mm threaded barrel. It retains the standard features of it's big brother; a Picatinny rail, magazine release in the trigger guard and a manual safety. The metal slide and blowback action give this pistol a highly authentic feel.